How a Creative Soul Reading Works:My preferred mode of reading someone's soul-energy is via distance - this allows me to focus on you, your spirit and your guides in a focused way clear of distractions. Each reading involves preparations such as meditation and yoga to help me focus. I will often pull healing stones and a card(s) from one of my four self-designed and painted Creative Soul Guide oracle card decks, but unlike a tarot reading I will not actually look at the card until after your reading is finished. The card imagery and description often serve to accentuate and emphasize certain points in your reading and along with the healing stones may also give you some more tools to work with on your own after the reading is over. 1. Will I find my soulmate in this life (whom I believe was the man in my dream with the cardinal from many years ago) or am I destined to be alone? 2. Am I meant to be a writer or artist or is there another path I'm meant to find/be on? 3. Conventional religion never felt "right", and I've tended to drift toward a more New Age philosophy; if I truly have a Spirit Guide, how can I better "tune in" to learn and find some peace in this life? The very first image I receive for your reading is of a snake wending its way through life and encountering much bracken and wild terrain that has been difficult to get through at times. - I am seeing numbers – as if there is some kind of count down and you’ve had to learn patience in the process. - I also see the color orange in your aura – representing creativity. - I am sensing that you are ready to unlock the door and let out your talents and gifts for all to see! - You’re not only ready, but you are prepared too, and people trust you! - Your Spirit Totem appears and is a crow or raven. 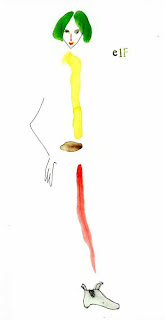 He reaches in to grab this gunk (which appears as a worm-like thing) from your solar plexus area (third chakra) and extracts it. Crow is an omen of change. Crow lives in the void and has no sense of time. With Crow medicine, you speak in a powerful voice when addressing issues that for you seem out of harmony, out of balance, out of whack, or unjust.Be willing to walk your talk, speak your truth, know your life’s mission and balance past, present, and future in the now. Shapeshift that old reality and become your future self. - Please try and envision the crow doing this (extracting the gunk) and also envision shining the color yellow onto this area – feel it flooding your naval/solar plexus area as you work on strengthening and empowering your core being along with your health. The gemstone Yellow Citrine will also help with this. Citrine (yellow-gold) is reminding you to open yourself to guidance and to the Divine Will.Remember, you will manifest whatever it is that you hold foremost in your mind and energy.Are your words and actions consistent with what you want to create? - Your crow buddy is now sitting on your shoulder – he wants to watch the proceedings! - Next, I pull a Goddess card in reference to your first question and the card is called “Aquarian Goddess”. 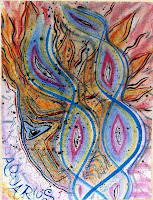 Aquarian Challenge: Your purpose is to see the patterns of ideas, networks and human relations.Your challenge is to know what you feel and to build intimacy and collectivity.Although you may need to learn tact, Aquarius offers you a natural political knack, a tribal consciousness and an abstract, iconoclastic soul. I pull another card to find out more and it is called “Leo Goddess”. Leo Meditation: I am one with the radiant sun: my heart is open. I am generous and loving. - You may be feeling very emotionally torn about the neutral-looking man and the other man is more of a bad-boy and so he is more attractive to you, but your core self is undecided. - Is there a daughter (a little girl) involved? Or does that little girl in you still need appeasing? Longing for a vision? - I am sensing that you would like a mixture between the dark, handsome and dangerous and the secure and stable. - I am also sensing that he (this man) will find you – perhaps around Hallowe’en because I’m catching a glimpse of a Dracula mask! - I also suggest working with Blue Kyanite and Obsidian (or envisioning these stones) in regards to this next part of your reading delving into question 2. 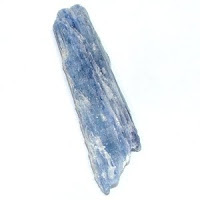 Blue Kyanite promotes telepathy and empathy with spirit guides, angels, pets, discarnate beings, extraterrestrials, and Light Be-ings. 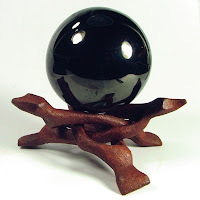 Black Obsidian offers you the power of the receptive.Stand back and be receptive to what is happening around you.It will lead you to what is most necessary for you to learn, but not necessarily what is easiest or most pleasant. I hear you asking, “Can I make a living at this?” so I pull a Lefty card and it is called “Ulrica could handle anything”. - I also see you reaching out to others through the newspaper. - And yes, you can combine this with your computer skills. - I also see you working at an alternative school: teaching, guiding, mentoring, group work. - Nothing can stop you – just confidence! 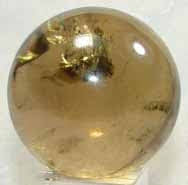 - So work with Citrine and the color yellow along with your third Chakra. I am blessed and full of joy. I trust in the River of Life. I flow with it and accept Divine Guidance and Connections. I open my eyes to the Beauty and Mystery of the unknown Guides that surround and protect me. - I also catch a glimpse of one of your spirit guides and he looks like an elf and his name is ‘hobo.’ He is surrounded by many little people. - To connect with your guides and especially with ‘hobo’ just reach out your hand and let him guide you into his world. Keep your eyes closed and just be present in their world. Afterwards make sure and write down all you have experienced – it is sacred and it is yours. I pull a card in regards to your third question and it is called “Elf”! - Why, follow your bliss of course! It will feel natural and happy! - You may be pioneering new territory, “to go where no one has gone before” – sung along to the Star Trek theme. - I am also seeing so many flowers/fields around you and a small bridge amidst them. You cross over this bridge and enter into another world – a world of the imagination, and you dream everything and you know it will happen. "When"? – starting today – you draw the line. - Yes, there is someone for you – dream them into being. - Grow stronger and create your world – you have great practical talents to build up your world. - Your spirit guides await – go play with them! I’m ending your reading by sending you many sparkly blessings for growth and fulfillment. Many Sparkly Blessings to you Shirl! Shirl Comments on her Reading: "The first image...is of a snake wending it's way through life and encountering much bracken and wild terrain that has been difficult to get through at times". That's a pretty good metaphor for my life. Life for me has been about survival, not living. "I am seeing numbers-as if there is some kind of count down and you've had to learn patience in the process." That definitely resonates with me, in a big way, and in many aspects of my life. In terms of finding my Soulmate, this just about screams out at me! There's a phrase that just comes to me: "Anything worth having is worth waiting for". And when it comes to love, I don't want to settle just so that I can say I'm married. But I really hope that countdown is near the lift-off mark! "Crow/raven as Spirit Totem, an omen of change"
When I came back to Paganism (after a mis-guided jaunt into Christianity and Catholicism), birds became highly symbolic to me. At first, I attributed it to the dream I'd had about my Soulmate, because that cardinal never left me. Plus, I was instantly drawn to Rhiannon, so I just figured it was her birds. I'm not very knowledgeable about Spirit Totems, but I plan on learning. I did try the visualization you suggested; I have a hard time shushing my mind when trying to meditate, and I didn't feel very much different, but later that day I painted two watercolors that were better than any I'd ever done. So, I have to wonder! As soon as I read that, the image of the man in my dream from ten years ago popped into my head. I don't currently know anyone that could be him (the man in my dream), and I'm fairly certain I haven't met my Soulmate yet (that it's not someone I've ever known). The thing is, I just don't know how to differentiate between a feeling/instinct that something is/could be so, and wishful thinking. Again, this popped out at me because for years I've had this strong feeling that my Soulmate was either a mechanic or an architect. I can't explain how or why, but it's always been there. The fact that you saw my Dad ask that sort of confirmed it. I also got the feeling that if it's the mechanic that my Dad approves of, then that's the one to go with. It felt like he was giving his blessing. This also sort of confirmed another dream I had this year about my Soulmate. My father was in this one, and it was as if he was watching over us as we emerged from the ocean in each others arms. "I am also sensing that he will find you"
In my dream, my Soulmate said, "See? All you had to do was stand still and I would find you." In other words, quit searching every face in the crowd. Like with Kathryn and her ladybugs in the movie "Under The Tuscan Sun"; as soon as she stopped looking for them, she was positively covered with them. That movie really resonated with me this summer! "Yes, you could write books helping artistic and other creative types...."
That would certainly combine my two loves: art and writing. It's funny, because back in the 1990's, when I first discovered SARK, I used to think, wow, these are great books. I wish I could do something like this. But then all I'd be doing is copying SARK. Then I promptly forgot about it and went about not-writing the novels that swirled in my head. Maybe the idea's not so far-fetched after all! 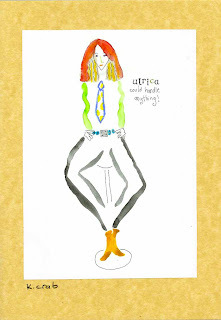 The Lefty Card: "Ulrica Could Handle Anything"
I like that a lot! Right away, it reminded me of the old movie Fried Green Tomatoes...remember when Mary Stuart Masterson's character would shout, "Towanda!!!" when she got her Girl-Power on? Ulrica is a great reminder that I can find the strength to handle what comes my way. "I also see you working at an alternative school..."
I will definitely have to give the visualization suggestions a try, especially since I now have an image/idea of who my Spirit Guide is. This could be fun! All in all, I have to say, you did a wonderful job, Kathy! You gave me a lot of food for thought, a glimpse at some possibilities. I'm sure, as I re-read both readings over time, other things will pop out at me or make more sense (I'm still curious as to where Mr. Bean fits in!) Without a doubt, if anything comes to pass with regard to the brown haired or black haired man and the artful career path, I will let you know! There has to be a reason why that dream has stayed with me - crystal clear - for ten years now. I've had other dreams in the past that eventually really happened (like dreaming of someone, complete with a first and last name, and then meeting that person about a year or so later). I think because this one means so much to me, I didn't want to believe in it completely in case it never came to pass. I didn't want to be disappointed. Most of all, you gave me some unexpected comfort when my father came through to you. That itself is priceless. Although the Soulmate question was the one that was my biggest curiosity and meant the most to me, the greatest thing I took away from this experience was a closer feeling to my father. It's funny, because for years since he died, every now and again I'd either feel his presence or actually catch a whiff of him (he had a very particular smell, a mix of Old Spice and his own body scent) or he'd come to me in dreams, but I'd write it off as coincidence or my imagination. Now I truly believe he's watching over me, watching out for me. Thank you for that! I have to say, that with all of the negativity swirling around me, your readings have been the only bright spot, the only glimmer of light that's kind of giving me the oomph to keep pushing through this gunk. That probably sounds melodramatic, but I just don't deal well with stress! And I have to say...Wow. Wow! I've never had such a beautiful, insightful, and just plain interesting reading. And thank you for being a little bit of a bright spot for me in what's turning out to be a really crummy week! Now, more than ever, I'm ready for it to finally be my season, my time to really live instead of just survive. You gave me a little hope. Thank you.